Sold and in private collection. Please contact us about related designs. Ombre garnet pendant is warm and elegant. 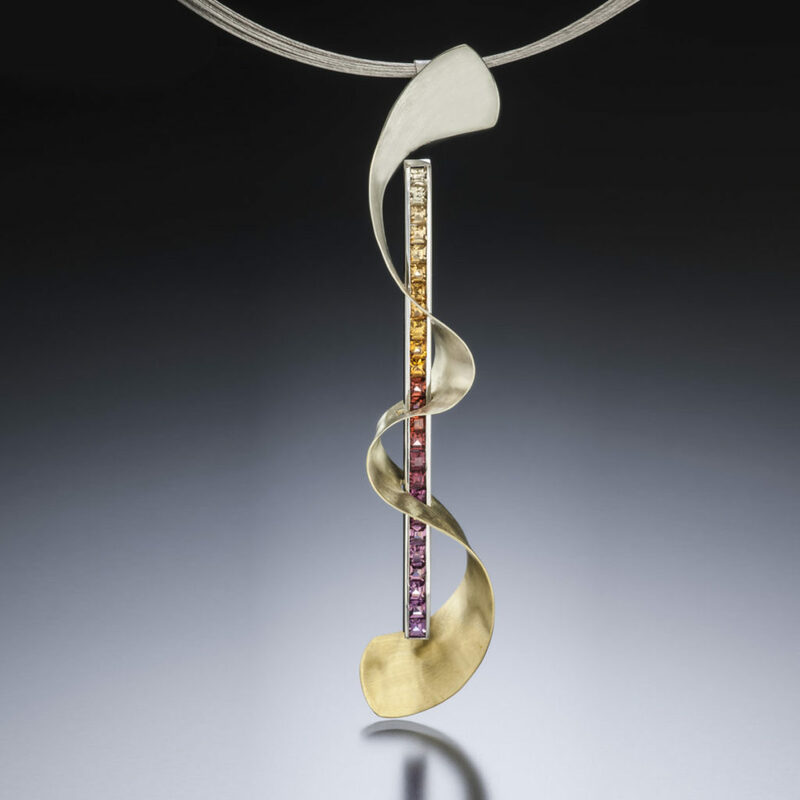 In this unique pendant design, a sumptuous selection of garnets, across spessartite and rhodolite color ranges, coupled with a curving form of color-gradient SpectraGold™. Call (949) 715-0953 or use our contact form below for additional information. To start a custom order inspired by this piece or for additional information, submit this form and we’ll respond promptly.